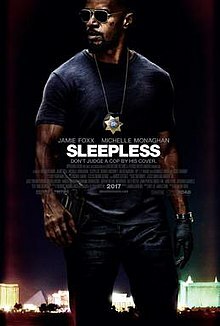 Based on a 2011 French film titled Sleepless Night, it's inevitable that Hollywood was going to try their hand at a remake. But where the original was a tense affair that oozed atmosphere, this is it's loud, brash cousin, focused on inserting needless action where they're not needed. Las Vegas policeman Vincent Downs (Jamie Foxx) steals a large shipment of cocaine from casino boss, Stanley Rubino (Dermot Mulroney). Upon finding this out, he organises the kidnapping of Vincent's son, while leaving Vincent with a serious stab wound. He receives a phone call, informing him to bring the stolen cocaine to Rubino's casino. The original managed to excel in its tense scenario, setting it apart from the typical action films which utilise a similar plot. That element has been lost in translation, with director Baran bo Odar deciding the scenes have to be delivered in the most basic and uninteresting of ways. Hence, the scenes often play out as a poor copy of the original. Take the kitchen set fight scene, originally a standout moment, while also a well choreographed piece of violent slapstick. Here, it becomes a by the numbers fight that's indistinguishable from countless fights scene in Hollywood. 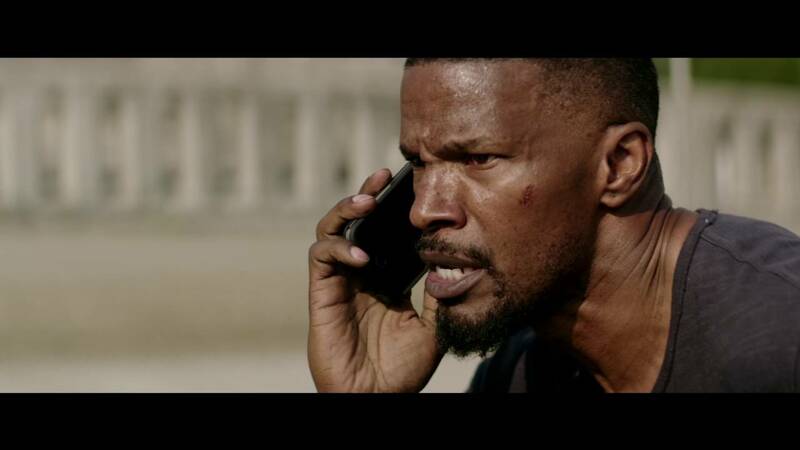 Jamie Foxx is clearly trying to do well with the material, in portraying the father desperate to get his son back. More interesting is Michelle Monaghan, as the cop out to prove herself in a department that views her as fragile. On the antagonistic side of things, Scoot McNairey does bland work as the cardboard cutout scumbag, while Dermot Mulroney fails to register in his role. It's clear the film wants us to care about the fates of these characters, but when they're written in the most derivative of ways, this element isn't achieved as well as one would've wished. If anything, ones mind is more on how Foxx's character can walk around with such a grievous wound. But then, this is a reality where people are thrown through glass, and walking not long after, so maybe it's best not to think about it too much. Sleepless is merely the latest casualty of butchering international cinema, to deliver a below quality Hollywood picture. Even when not taking the original film into consideration, the result is far from pretty. A by the numbers film that foregoes any tension, preferring to insert hackneyed action scenes around the banal storytelling. Labels: 1 star, 2017, Action, Baran bo Odar, David Harbour, Dermot Mulroney, Film, Gabrielle Union, Jamie Foxx, Michelle Monaghan, Scoot McNairy, T.I.